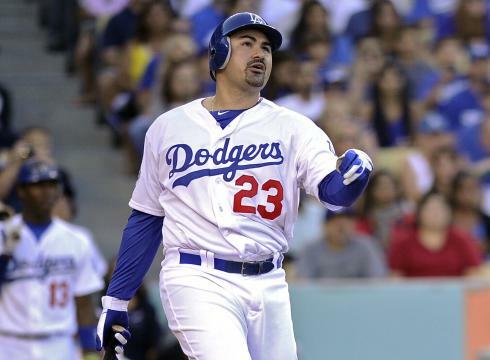 Gonzalez homered in his first at bat as a Dodger. With this slide into third, Beltre became the sixth Ranger to hit for the cycle. Adrian Beltre became the 4th player to hit for the cycle this season, when he did it Friday night against the Twins. Eagle Great Van Buren dies at 91. Steve Van Buren, who many say is the greatest Eagles’ running back of all time, died Thursday night at the age of 91. The running back, from Honduras, was a five time All-Pro who was named to the NFL 75th anniversary team in 1994. He finished with 5,860 yards rushing, which is 2nd all time in Eagles history. 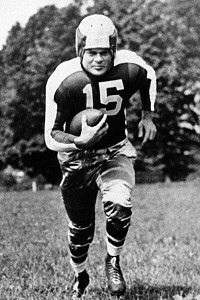 Steve was a part of the Eagles teams that won back to back NFL Championships in 1948 and 1949 . In 1948 NFL Championship, in a snow storm that almost caused him to miss the game, he scored the only touchdown against the Chicago Cardinals. The following year, he ran for 196 yards in a 14-0 win over the Los Angeles Ram. Steve was the first Philadelphia Eagle inducted in the Pro Football Hall of Fame in 1965. Obviously never saw Van Buren play, but when guys Ray Didinger say he’s the best ever, I tend to believe them. Hopefully, in a few years, a certain running back named Shady can take the mantle from the great Van Buren. In his Phillies’ career, very few times has the offense bailed out Roy Halladay. In game 1 of this series, the offense did exactly that. After Halladay blew two leads, the offense came alive in the 5th inning. Down 5-3, Juan Pierre singled with one out. Chase Utley then doubled to center to score Pierre and cut the deficit to 1. Ryan Howard was then intentionally walked to get to John Mayberry Jr. Mayberry didn’t stink this time and singled to left center to score Utley. The next batter Dom Brown, who has struggled in the extra base department, ripped a double to right, scoring two and sending Reds starter Mike Leake to the showers. Jose Arredondo, loser to Wilson Valdez in the 19th inning gem a few years back, gave up three runs in the 6th inning on a Chase Utley sac fly and John Mayberry Jr. two run home run. 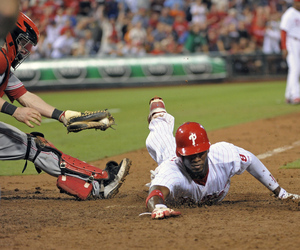 The Phillies finished with 12 runs and 15 hits. Roy Halladay went 7 innings, giving up five earned runs, but picked up the win. Colon will miss the rest of the season after testing positive for testosterone. 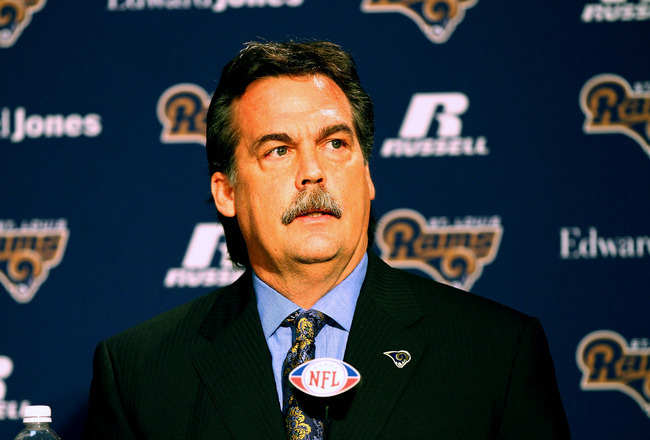 Fisher is one of 7 new coaches this season. Roger Clemens signs with independent Sugar Land Skeeters in Texas – ESPN. Clemens hasn’t exactly been in the news for the right reasons in recent years. Has his passion for the game been revived or is he broke enough to play independent baseball.